Feel positively good with the unique mix of prebiotic fibres in Barley+, all in one grain#. 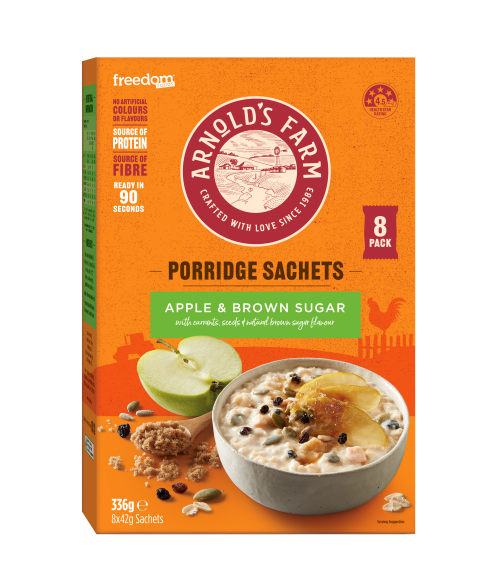 Made with a super grain developed by CSIRO, Barley+ provides the perfect fibre mix to give your gut a boost*. 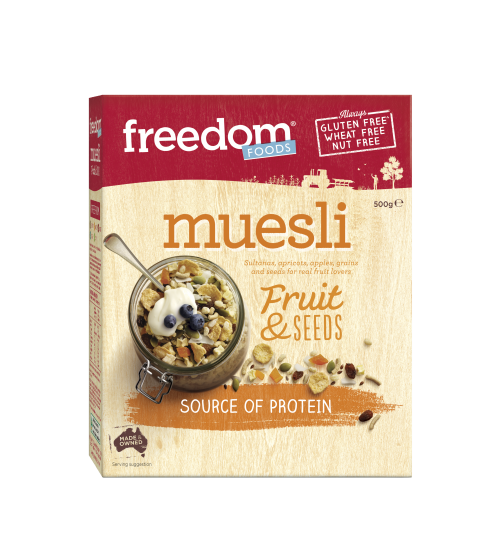 Discover the range of Barley+ clusters, mueslis, bars and wraps. 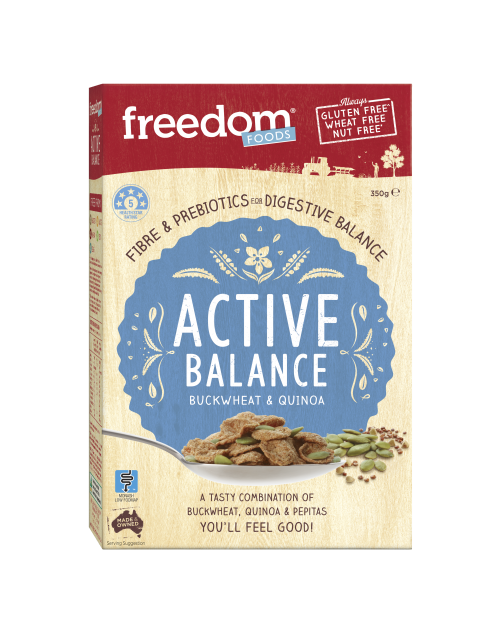 #Compared with conventionally consumed grains like oats, wheat and rye. 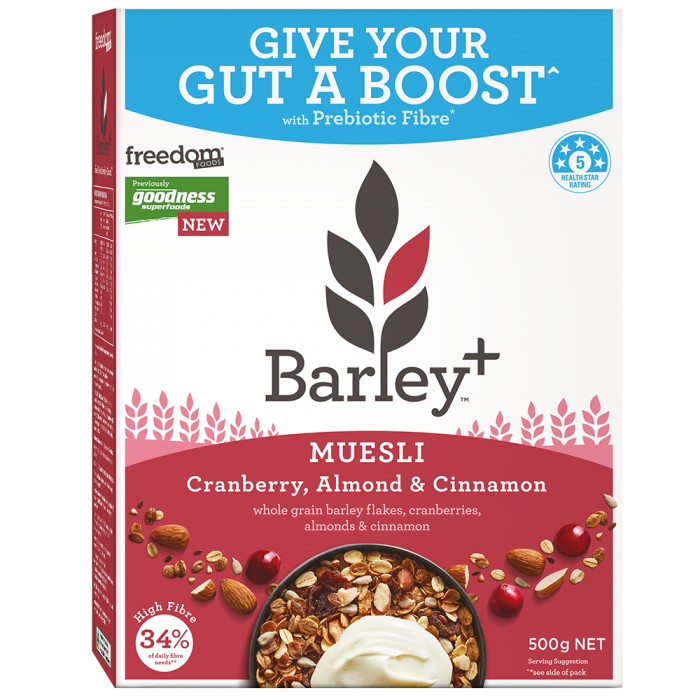 *For the prebiotic effect of fibre in 1 serve of Barley+ containing BARLEYmax™ as part of a healthy and varied diet. ^For the well-known digestive benefit of helping to keep you regular. BARLEYmaxTM (Whole Grain Rolled Barley Flakes) (65%), Whole Grain Rolled Oats (7%), Brown Rice Syrup, Cranberries (6%) (Cranberries, Sugar, Humectant (Glycerol), Sunflower Oil), Seeds (5%) (Linseed, Buckwheat, Sunflower Seeds), Nuts (4%) (Almonds (2.6%), Hazelnuts (1.2%), Pecans (0.2%)), Coconut Sugar, Chicory Root Fibre, Cinnamon, Natural Berry Flavour, Antioxidant (Vitamin E).